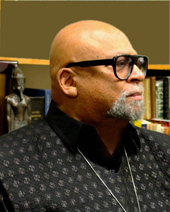 On the eve the 50th Anniversary Nguzo Saba 2015 Conference and Awards Luncheon held by the African American Cultural Center and the Organization Us, the Sentinel interviewed the central figure of this half century celebration and milestone, Dr. Maulana Karenga. An activist scholar of international recognition, Dr. Karenga is professor and chair of the Department of Africana Studies at California State University, Long Beach. He is also chair of the Organization Us and of the National Association of Kawaida Organizations (NAKO), executive director of the African American Cultural Center and co-chair of the Black Community, Clergy and Labor Alliance (BCCLA). He is most widely known as the creator of Kwanzaa and the Nguzo Saba (The Seven Principles). Kwanzaa is a pan-African holiday which celebrates family, community and culture and is observed by millions throughout the world African community. Moreover, Dr. Karenga is the author of numerous books and scholarly articles including: Kwanzaa: A Celebration of Family, Community and Culture; Maat, The Moral Ideal of Ancient Egypt; and Kawaida and Questions of Life and Struggle. His latest book published to mark this 50th anniversary is Essays on Struggle: Position and Analysis, essays written during the Black Power Movement and reflective of his early and evolving philosophy of Kawaida. LAS: Congratulations on your 50th Anniversary! There are many 50th Anniversaries this year, the assassination and martyrdom of Malcolm X; the Selma March; the Voting Rights Act; and the Watts Revolt. What makes this 50th anniversary commemoration and celebration of the Organization Us, the African American Cultural Center and the introduction of your philosophy, Kawaida, and the Nguzo Saba (The Seven Principles) unique? DMK: Our project is unique because it includes, honors and builds on the legacy left by all those before us. Second, we have maintained an unbudging Blackness in our commitment to Black people, Black culture and Black struggle for a half century. Also our uniqueness is reflected in our resilience and endurance in the midst of savage government suppression; misinformation and disinformation; political opposition and character assassination; no big budget; and no assistance from the dominant society in terms of either funds or favors. And finally, our uniqueness is defined by our level of achievement through our overarching program of work, service, struggle and institution building on the local and national level. LAS: What are the some of the major achievements and milestones that you commemorate and celebrate on this your 50th anniversary? DMK: First of all, we commemorate and pay rightful homage to all our ancestors who taught us good, beautiful and dignity-affirming ways to understand and assert ourselves in the world. And we celebrate passing through tests of fire and furnace without being discouraged, diverted, dispirited or defeated in our active commitment to Black liberation, cultural revolution and radical social change. We have played a significant role in Black intellectual and political culture since the 60s, participating in virtually every major African-centered movement during this time from Black Power, Black arts and Black studies to Afrocentricity, the Million Man March and the reparations movements. Realizing with other liberation groups that we have to build and sustain the people as we fight, we committed ourselves to work, service, struggle and institution-building. Thus, we estab­lished numerous organizing initiatives and worked in cooperative projects to build institutions to provide affordable housing, accessible health care and quality education; end police abuse, establish economic cooperatives; increase political partici­pation and expand space for cultural grounding, creativity and performances. Resisting unjust wars, we taught and practiced draft resistance, coopera­tively organized and held anti-war rallies and teach-ins against imperialist wars in Africa, Asia and Latin America, and supported the right of self-determination for all peoples. We advocated reparations and prisoners’ rights, trained Kasisi (chaplains) to counsel and advise prisoners and provided literature and lawyers where possible. We supported African liberation movements and pan-Africanist projects and built alliances with various Third World organizations engaging in the struggles that gave rise to and defined the times. And we continue to engage in these activi­ties and carry on the struggle on the various fronts. For we took and take the position with Paul Robeson that “The battlefront is everywhere, there is no sheltered rear”. LAS: How have the Organization Us and the African American Cultural Center been able to survive and develop for over 50 years when most all the other organizations that began in the 60s have either gone out of existence or drastically changed their program? Our capacity to sustain ourselves and develop ourselves over these 50 years is due to several things which we usually sum up as the quality of our leadership, philosophy and organization. First and foremost is our groundedness in and commitment to our philosophy, Kawaida, and its core value system, the Nguzo Saba (The Seven Principles). Kawaida is an ongoing synthesis of the best of African thought and practice in constant exchange with the world. It requires us to reach inside ourselves and constantly bring forth the best of what it means to be African and human in the fullest sense. Our core value system, the Nguzo Saba, enables us to ground ourselves in the best of African ways and to enrich and expand our lives by practicing African values. Second, we are a small tightly knit, highly disciplined organization for struggle, committed to the liberation of African people and African cultural and ethical groundedness. Finally, we see leadership as a moral vocation to provide a philosophy, principles and program that not only satisfy human needs, but transform the people in the process, making them self-conscious agents of their own life and liberation. LAS: Why did you choose the name Us for your organization? DMK: I/we chose the name first to reflect the communitarian character of our organization. By that I mean, community-grounded, community-focused and community-committed. Second, it was to stress our commitment to cooperative practices. And third, it was to emphasize our commitment to collective work and responsibility, Ujima, the third principle of the Nguzo Saba.